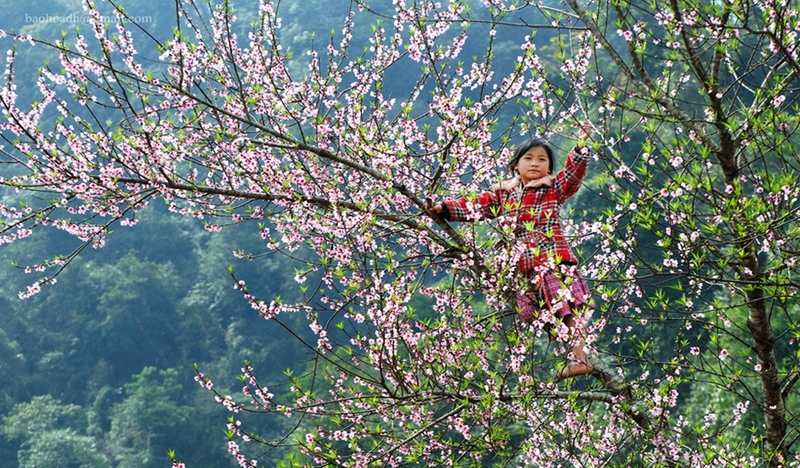 The Peach blossom festival of Van Ho district, Son La province is expected to be held in 2 days from 2nd to 3rd of February 2018 in the occasion of peach blooming season in Pa Kha village, Long Luong commune, Van Ho district, Son La province. 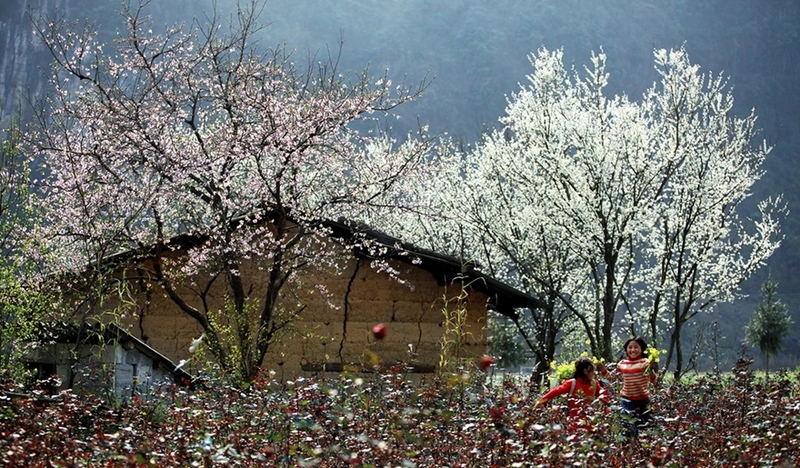 The highlight of this festival is the Opening Ceremony of "The beauty and fragrance of Peach blossom in the highlands" in order to exploit the typical features in the process of forming and developing of Peach trees in the highland on the cultural identity foundation of the different ethnic hill tribes in Van Ho; the demand on having Peach blossom in Tet holiday in the integration period. The Open Ceremony will be ended with the performance of Tha Khenh dance with the participation of 100 H’Mong actors and artists. There are many cultural activities will be taken place within the framework of the festival such as organizing cultural-economic camps, where the representatives of every commune will introduce the process of making Men Men; Day cakes; Thang Co; corn wine; Mong, Thai and Dao traditional dishes, some kinds of vegetable, home remedy…, the contest of displaying the traditional feast tray to introduce ethnic dishes, the suitable taste of each ethnic group and local tradition, customs and culture of the 14 communes. 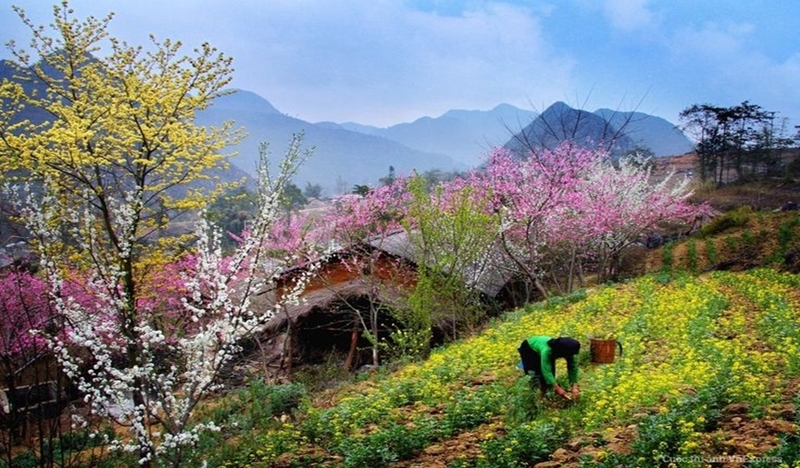 Besides, tourists coming to Van Ho in the right time of the festival can witness many other interesting activities like traditional games, ethnic sports, national costume show, introducing Peach blossom contest, touring to the best Peach, Plum, Tam Giac Mach…flower gardens, and the art performance for the Closing Ceremony: “Peach blossom on the mountain peak”. 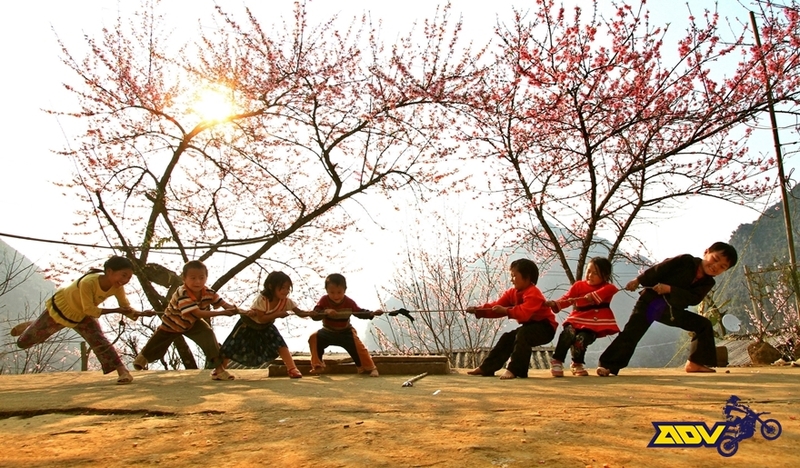 Through the organization of the Peach Blossom Festival 2018, Van Ho District authority want to encourage the local people to promote their initiative, creativity, responsibility for preserving the cultural values of the ethnic groups, join hand together to maintain and develop the festival for the best result. At the same time, the festival is aim to promote and introduce the potential and cultural identity of the Van Ho ethnic group for attracting tourists inside and outside the province, as well as international visitors to experience, enjoy, find investment opportunities, exchange, develop, cooperate and integrate. By a happy chance you plan of riding a motorbike in Vietnam by the time the festival happenning and you find the festival is interesting so want to exploit it, please do not hesitate to contact us for the unforgettable sightseeing or Vietnam offroad motorcycle tours to Son La province to immerse yourself in the atmosphere of this colorful festival.